The Brigham City Police Department is located on the main floor of City Hall, 20 North Main, Brigham City. The Department provides round-the-clock service to the citizens of Brigham City as well as assistance to other local law enforcement agencies. The Brigham City Police Department is one of the most progressive and proactive departments in northern Utah. 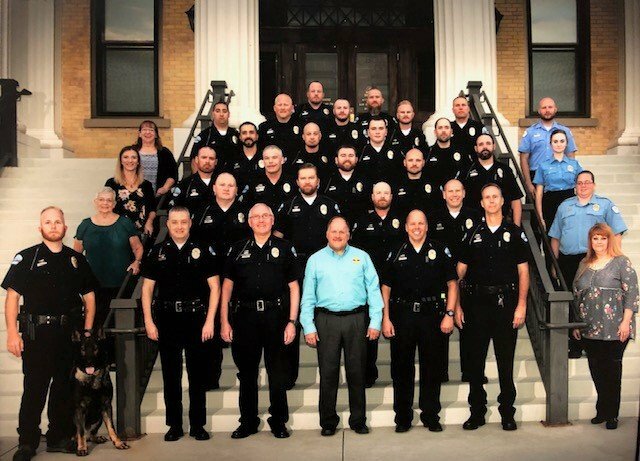 The Department consists of 26 sworn officers (4 admin, 7 detectives, 15 patrol), one Administrative Assistant, one Animal Control Officer, two Animal Shelter Technicians, two Records Clerks, one part-time Narcotics Strike Force Secretary, and two part-time Crossing Guards. 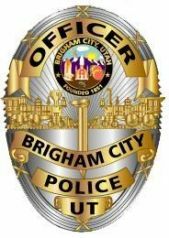 The entire BCPD staff is professional, dedicated, and ready to serve the citizens of Brigham City. Fingerprints are done on Wednesdays from 1:00 - 5:00 p.m. The Bear River Health Department, which is located at 817 West 950 South, Brigham City, offers classes for retail clerks and permits to handle alcoholic beverages. These classes will be offered on an as needed basis. For more information, please call Jesse Joseph at (435) 792-6510. Youth Court is held every Monday at 5:30 p.m. Hours: Monday-Thursday, 8:00-11:00 a.m. and 2:00-4:00 p.m.
Offenders who are on probation or parole with Adult Probation & Parole (AP&P) MUST register with AP&P. Offenders who are "off paper" (i.e., no longer under supervision or whose conviction is from another jurisdiction), MUST register with the Police Department or Sheriff's Office that has jurisdiction over the area where the offender resides. There are several ways to provide anonymous tips to the Brigham City Police Department. 2) Text your tip to 274637 (Crimes). Start your text with the keyword BRIGHAMTIP. Within a minute, you will receive a text message with your alias. This confirms that your text message was received. The alias identifier is used by the officer to communicate with you, through text, regarding the tip you submitted. The officer does not know your identity or location. 3) To submit an anonymous tip on-line, click here. To view the BCPD's policy on Outside Employment, please click here.